Born: 3 December 1797, Kirktoun parish, Roxburghshire, Scotland. Died: 11 August 1872, London, England. Andrew Smith, British army surgeon and naturalist, completed his schooling at age 15. From 1813 to 1815 he was apprenticed part-time to a medical doctor while studying medicine at the University of Edinburgh. In August 1815 he became the youngest officer ever to be admitted to the Medical Department of the British Army and was appointed as a hospital assistant. During the next three he years received further training at Fort Pitt, Chatham, and was allowed also to continue his studies at the London Infirmary for Curing Diseases of the Eye. In 1818 he was transferred to Edinburgh where he was attached to the 79th Highlanders, but was given an opportunity to complete his medical studies. He graduated as Doctor of Medicine (MD) in August 1819 with a thesis on a mild form of smallpox, De variolis secondariis. That same year he was elected a Fellow of the Wernerian Society of Edinburgh and published a paper on "A case of malformation of the kidneys" in the Edinburgh Medical and Surgical Journal. He never formally studied zoology, to which he later made major contributions. After serving as a hospital assistant for short periods in Quebec, Nova Scotia and Malta he was sent to the Cape Colony, arriving in Simon's Bay on 12 August 1821. Proceeding to the eastern frontier of the colony he was stationed in Grahamstown and later at Fort Willshire (south-east of Fort Beaufort) until the middle of 1825. During these years he made a study of the natural history of the frontier region and the customs of the Xhosa people. When the governor, Lord Charles Somerset, visited Grahamstown in February 1825 Smith appears to have convinced him of the need for a natural history museum in Cape Town. After returning to Cape Town the governor issued a proclamation on 10 June 1825 creating the South African Museum, to be housed in the building of the South African Library, and appointing Smith as its superintendent. Smith was transferred to Cape Town and allowed ample time for his scientific activities. He solicited specimens for the museum and published lists of donations in the Cape Town Gazette and African Advertiser. Soon he also published the first and only installment of A descriptive catalogue of the South African Museum (Cape Town, 1826, 32p) in which he described the mammals on exhibition. A separate pamphlet provided Instructions for preparing and preserving the different objects of the animal, vegetable, and mineral kingdoms (Cape Town, 1825). He remained superintendent of the museum until his departure from South Africa in 1837. In December 1826 the Cape of Good Hope Horticultural Society was formed, with Smith as joint secretary. He still held this position in 1828. In 1828 the acting governor sent Smith to the north-west border of the colony to investigate conflicts among the various groups of people living in the region. The political nature of the mission was disguised by presenting it as a scientific expedition, consisting of Smith and some servants only. He reached the Olifants River on 1 June, from where he made several short trips before proceeding to the copper deposits of Namaqualand. In early August he reached the Orange River, which he explored to its mouth, and eventually returned to Cape Town in April 1829. In addition to his discussions with the chiefs of the frontier region he collected and described birds. His report to the new governor, Sir Lowry Cole, led to no immediate action. On 5 November 1828 Smith described as new species some birds, snakes, fishes and a toad in the South African Commercial Advertiser, followed by descriptions of birds of prey (13 May and 30 May 1829) and warblers (27 June). More than a century later Roberts (1944) pointed out the significance of the names of bird species introduced by Smith in these newspaper articles. In June that same year the first general scientific society in southern Africa, the South African Institution, was founded in Cape Town. Smith was elected as joint secretary at its inception, holding the position to September 1830. According to Bregman (2003) it was one of several attempts by him to establish the institutional and social infrastructure of science at the Cape to aid his work in natural history, other attempts being the South African Museum and the Cape of Good Hope Horticultural Society. The Institution took over responsibility for the South African Museum and appointed P. Jules Verreaux* as curator, a post he held until 1838. Members of the Institution furthermore launcheda and edited the subcontinent's first scientific journal, The South African Quarterly Journal, as an independent venture. Smith appears to have played an important role in launching the journal, but his work, travels and other activities make it unlikely that he played an important role as one of its editors. The first issue, dated October 1829 - January 1830, included his next installment on local birds, which he continued in subsequent issues (1830, Vol. 1, No. 2-4). He also published a valuable paper entitled "Observations relative to the origin and history of the Bushmen" (1830, Vol. 1(2), pp. 171-189), which contained a detailed description of San culture, based mainly on his own observations. He regarded the Bushmen as closely allied to the Hottentots, differing from them only in culture. In the fifth issue of the journal, dated October 1831, he published "Contributions to the natural history of South Africa, etc." (pp. 9-24), consisting of descriptions of various mammals, birds, reptiles and amphibians, and presumably intended to be the first of a series of articles. In December 1831 Smith was sent on another diplomatic mission combined with a scientific expedition, this time to visit the Zulu chief Dingane and report on the nature of his country. The party included the naturalists J.F. Dr?ge* and his brother C.F. Dr?ge*, who joined it at Port Elizabeth. They followed more or less the route of the present main road to the vicinity of Umtata, then went down to the coast near present Port St Johns, and reached Port Natal (now Durban) in March 1832. There Smith met H.F. Fynn*, who accompanied him to Dingane's kraal. He was the first well-known collector to investigate the birdlife of coastal Natal, where he found many new species. In an interview with the Grahamstown Journal upon his return he described the fertility of Natal and its potential for settlement. This praise eventually led to the settlement of the Voortrekkers in Natal during 1837-1838. From October 1832 to April 1833 Smith acted as military medical officer at Algoa Bay. During his absence from Cape Town no further numbers of the South African Quarterly Journal were published. Furthermore, the South African Institution had amalgamated with the South African Literary Society in 1832 to form the South African Literary and Scientific Institution. After his return to Cape Town Smith wrote a series of ten articles, totalling 176 pages, under the title "An epitome of African zoology", which were published in Volume 2 of the journal (No. 1-4, October 1833 - September 1834). The articles were requested by the Institution at its meeting on 7 August 1833 in an effort to promote the study of natural history in the colony. They contained technical descriptions of local mammals (articles 1-7) and birds (articles 8-10). Many new species were described for the first time, including nine rodents (De Graaff, 1981). However, the series was not completed. Smith was elected joint secretary of the Institution in July 1833 and served as joint vice-president during 1836-1837. During 1833 members of the Institution established the Cape of Good Hope Association for Exploring Central Africa to organise a scientific expedition into the interior of southern Africa, to be financed by public subscription. Smith, who appears to have played a major role in founding the Association, served on its provisional committee and was chosen as the leader of the expedition. He was accompanied by about 40 persons, including the surveyor John Burrow* and the artists G.H. Ford* and C.D. Bell*. Leaving Graaff-Reinet on 12 August 1834 they proceeded to Philippolis, but finding the country very dry they turned east to Lesotho and visited chief Mosheshwe. After returning to Philippolis they went on to Kuruman, from where the missionary Robert Moffat accompanied them to the kraal of the Matabele king, Mzilikazi, at Mosega, just south of present Zeerust. From there Smith travelled eastwards along the southern slopes of the Magaliesberg to Hartebeestpoort, and later also northwards to the tropic of Capricorn. Along the whole route he visited and held discussions with local chiefs. The expedition returned to Cape Town in February 1836 with a huge collection of natural history specimens and drawings. Smith published his Report of the Expedition for Exploring Central Africa... (Cape Town, 1836, 64p) for the subscribers. His diary of the expedition, edited by P.R. Kirby, was published only in 1939-1940. He also prepared an incomplete journal of the expedition, which was eventually edited by W.F. Lye and published in 1975. Other volumes of his unpublished notes and manuscripts are preserved in the South African Museum and Transvaal Museum (now the Ditsong National Museum of Natural History). Smith was ordered to return to England and left the Cape in February 1837. In addition to his private collections he took the expedition's collections with him. After exhibiting the latter in London for a year they were sold and the proceeds paid to the Association that had financed the expedition. Smith was promoted to staff surgeon in July 1837 and was stationed at Fort Pitt, Chatham. During the years 1826 to 1838 he had published several articles on the zoology of South Africa in British journals and now, in his spare time, he wrote a monumental and authoritative work, Illustrations of the zoology of South Africa... (London, 1838-1849, in 28 parts), containing descriptions and coloured plates (by Ford) of the mammals, birds, reptiles, fishes and invertebrates collected during his expedition. The invertebrates, mainly beetles and marine crabs, were described by S.W. Macleay, but all the vertebrates were described by Smith, including many new species that have stood the test of time. His illustrations and descriptions of new species of South African freshwater fishes marks the earnest beginnings of the systematic nomenclature of this fauna (Skelton & Skead, 1984). The complete work was published in five volumes in 1849. A facsimily reprint was published in Johannesburg by Winchester Press in 1977. This work, with its accurate observations and clear descriptions, constituted the most reliable account of the South African fauna at the time and established Smith's reputation as "the father of South African zoology". Among others he described 64 taxa of reptiles (including 24 snakes and 37 lizards), the most by any author of this group (Branch, 1999). He also described 79 species of South African birds, again the most by any author (Craig, 1999). On 6 March 1843 Smith married Ellen Henderson and that same year was elected a Fellow of the Zoological Society of London. He was promoted to deputy-inspector of hospitals in December 1845 and transferred to London. In February 1851 he became inspector-general of hospitals and two years later was appointed director-general of the Army Medical Department. Following huge losses of soldiers during the Crimean War (1854-1855) he became involved in a bitter controversy with Florence Nightingale over the medical arrangements for the campaign. However, various commissions appointed to investigate the disaster completely exonerated his department. He subsequently received many honours, including an honorary MD from the University of Dublin (1856), an honorary Fellowship of the Royal College of Surgeons of Edinburgh (1856), a Fellowship of the Royal Society of London (1857), an appointment as Knight Commander of the Order of the Bath (KCB, 1858), and an honorary Doctor of Laws (LLD) degree (1858) from the University of Edinburgh - to which he had presented thousands of specimens from his personal natural history collection. He published a complete medical history of the Crimean War under the title Medical and surgical history of the British army which served in Turkey and the Crimea during the war against Russia in the years 1854-1856 (London, 1858, 2 vols) and persuaded the government to build the first fully adequate military hospital and training school for military medical officers near Southampton. Smith resigned his post in May 1858 and began writing an ambitious work on the ethnography of the whole continent of Africa. However, following the death of his wife towards the end of 1864 he lost interest in the project and spent the last years of his life as a recluse. The bird species Anas smithii (Cape shoveler) and Turdus smithii (Karoo thrush) still carry his name. Branch, W.R. Reptile systematic studies in southern Africa: A brief history and overview. Transactions of the Royal Society of South Africa, 1999, Vol. 54(1), pp. 137-156. Bregman, L. "Snug little coteries": A history of scientific societies in early nineteenth century Cape Town, 1824-1835. PhD thesis, University College, London, 2003. Cape of Good Hope Association for Exploring Central Africa. Prospectus of a plan for an expedition into Central Africa Cape Town, 1833. (National Library of South Africa, Cape Town, SABP4). Craig, A.J.F.K. Stuffed birds on trees: An historical review of avian systematics in southern Africa. Transactions of the Royal Society of South Africa, 1999, Vol. 54(1), pp. 157-165. Kirby, P.R. (ed.) The diary of Dr Andrew Smith, Director of the 'Expedition for Exploring Central Africa', 1834-1836. Van Riebeeck Society Publications No. 20 & 21, 1939-1940. Kirby, P.R. 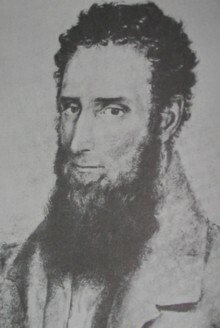 Andrew Smith, M.D., founder of the first South African Museum. Annals of the South African Museum, 1942, Vol. 36, pp. 1-26. Kirby, P.R. Sir Andrew Smith, M.D., K.C.B. His life, letters and works. Cape Town: Balkema, 1965. Leverton, B.J.T. Sir Andrew Smith. Lantern, December 1974, Vol. 24(2), pp. 12-15, 22. Lye, W.F. (ed.) Andrew Smith's Journal of his expedition into the interior of South Africa, 1834-36. Cape Town: Balkema, 1975. Roberts, A. Some unpublished field notes made by Dr (Sir) Andrew Smith. Annals of the Transvaal Museum, 1935-1936, Vol. 18, pp. 271-323. Roberts, A. Names of birds described by Andrew Smith in the South African Commercial Advertiser, Cape Town, May and June 1829. The Ostrich, 1944, Vol. 15, pp. 222-228. Robinson, A.M.L. None daring to make us afraid: A study of English periodical literature in the Cape Colony from its beginnings in 1824 to 1835. Cape Town: Maskew Miller, 1962. Rules and regulations of the Cape of Good Hope Horticultural Society, 1827. (Cape Town, Library of Parliament). Skelton, P.H. & Skead, C.J. Early reports and paintings of freshwater fishes in the Cape Province. Africana Notes and News, 1984, Vol. 26(1), pp. 29-34. South African almanac and directory/ Kaapsche almanak en naamboek/ Cape of Good Hope almanac and directory (title varies), 1827, 1829, 1834, 1837, 1838. South African Commercial Advertiser, 13 May 1829, p. 2, Papers on natural history; 30 May 1829, p. 2 and 27 June 1829, p. 2, Dr Smith's papers on natural history; 20 July 1833, p. 2, SA Literary and Scientific Institution. South African Quarterly Journal, 1929-1834, Vol. 1-2. Summers, R.H.F. A history of the South African Museum, 1825-1975. Cape Town: Balkema, 1975.